Presently, India is celebrating the biggest festival of democracy which is the Lok Sabha elections 2019 and while it is being touted as Modi vs the rest, the Congress party is leaving no stone unturned in making their party President Rahul Gandhi a favorite contender for the post of PM. 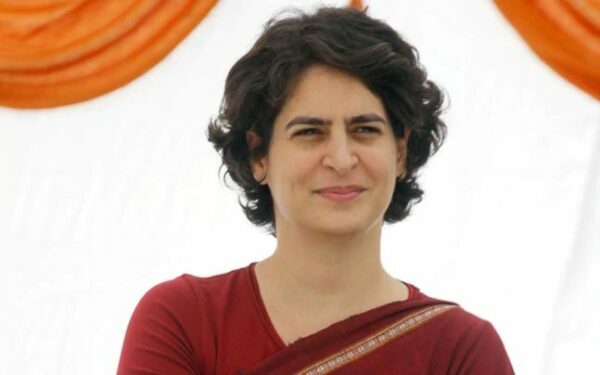 Rahul Gandhi’s sister Priyanka Gandhi Vadra who is the party general secretary for eastern Uttar Pradesh is also conducting public rallies and telling people what Congress is going to offer them if they come into power. However, it seems that she needs some more practice in addressing the public as on Monday, she fumbled while addressing a public rally in Fatehpur Sikri. While talking about the promises made in Congress manifesto, she said that there are many schemes which will provide “free health” to all. Although she realised her mistake and corrected it by saying “free health services” with a laugh, the damage was already done. ye bharat ki sarkaar aur pradhan mantri chunne ka election hai ya timepass comedy show ? ये तो मोदी के आयुष्मान भारत योजना का प्रचार कर रही है…. The struggle which these two siblings put in while giving a speech!! it shows they have no command over the subject/topic, have not done proper homework before the speech and more importantly they are taking it lightly. Prinka vabra is also loose as of Mental Raulu? But power is running out from d clutches of Parivar Vad? After ruling for 70 this is the condition of congress party.. Meanwhile this happening while reading from verticle telepromters. What will happen without them? That’s the president of the largest opposition party in India. The leader herself reads and speaks but still fumbles. And they’re asking for a one-to-one debate with the PM? It makes me laugh just thinking about it. Bas ghandhi surname lagao aur neta ban jao….. This rally was organised in order to campaign for the Congress state unit chief Raj Babbar who is contesting elections from Fatehpur Sikri and he will be facing tough fight from BJP’s Raj Kumar Chaher and Rajveer Singh of BSP. The post Priyanka Made A Silly Mistake During Speech, Laughed & Corrected It, Got Trolled Like Never Before appeared first on RVCJ Media.